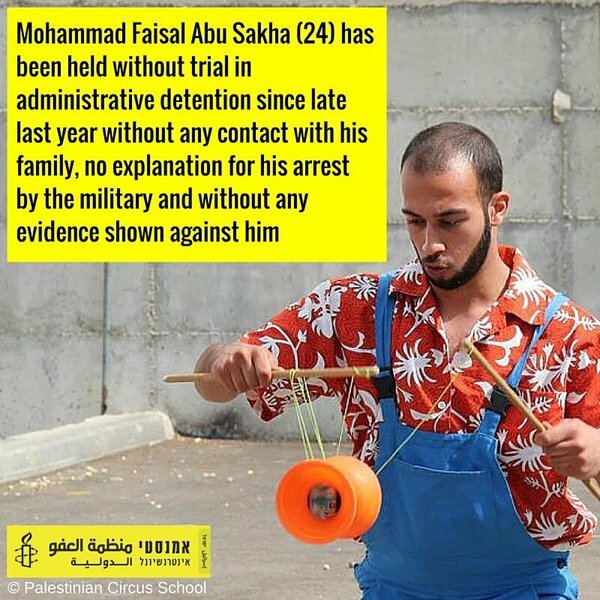 Safadi, meanwhile, was arrested on May 1, 2016, and put in administrative detention on June 10. The military prosecutor allegedly claimed during his initial trial that he had ties to an illegal organization and that he had visited an enemy country (Lebanon) on more than one occasion. According to Addameer, Safadi was subjected to sleep deprivation and put in stress positions during a number of his interrogations. He has been denied family visits, as has Abu Sakha. There are currently around 720 Palestinians in administrative detention in Israeli prisons, according to Addameer.